If you ask North Carolinians their favorite thing about summer, it won't be long before they start talking about fresh peaches. And there's no better way to make sure you're getting fresh peaches than to pick your own. You won't find many peach farms in North Carolina, as most are to the south in South Carolina and Georgia, but there are a few. 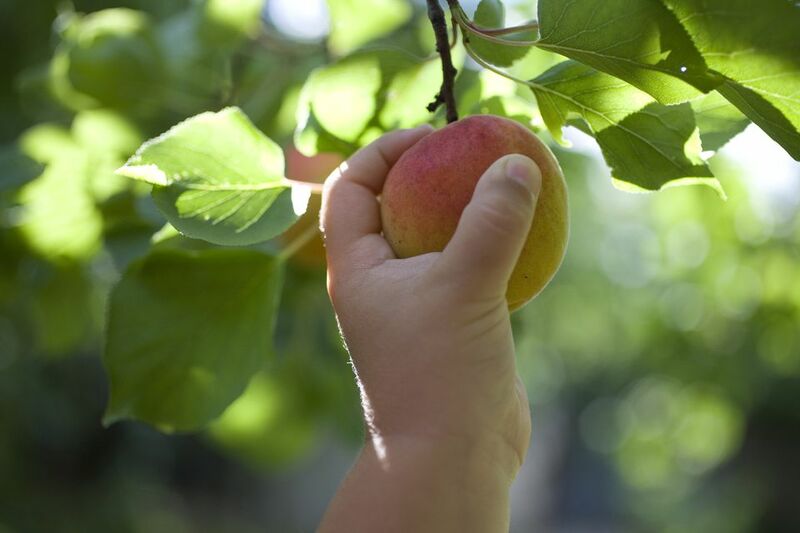 Peaches usually peak during late June through July, so call before you head out. Peaches are affected by the weather more than any other crop, and farms can change hours and availability without notice. Listed below are a few North Carolina u-pick peach farms to get you started. Buttermilk Creek is a family-owned, pick-your-own fruit farm that grows blueberries, blackberries, and peaches, and is located near Burlington, North Carolina, in rural Alamance County. The farm, which is open only during the summer (starting each July), has restroom and picnic facilities available and takes cash, check, and credit/debit cards. If you add your email to Buttermilk Creek's mailing list, the farm will keep you up to date about developments and any special events it plans to offer. "...hidden gem in the mountains of Western Carolina. ... We soon discovered there were huge blueberries available for u-pick, peaches, plums, blackberries, raspberries and so much more. " The farm is open year round but offers u-pick fruits and veggies only on a seasonal basis. Jones Fruit Farm offers u-pick peaches when they are in season during the summer (generally in July). The farm also offers plenty of other fresh fruit and produce that you can pick yourself or buy pre-picked. Jones Farm sells ice cream made with its homegrown fruits, and even offers hayrides, giving children and adults a chance to tour the site and view its farm animals and fishing pond. Geraldine's is a peach orchard and roadside produce market located along the state's Highway 41 North. The farm, operated by Roy and Geraldine Herring, has been in business for more than 100 years and is now in its third generation of owners. In addition to peaches, the farm also grows blackberries, grapes, nectarines, peppers, potatoes, peanuts, okra, and many other types of produce. Flowers and herbs also available at the farm's market. The peach orchard and produce market have been operating since 2004. Geraldine operates the retail market while Roy is responsible for growing all of the farm's produce. Livermush: What Is This North Carolina Favorite?